This year’s housing market is shaping up to be the strongest in close to a decade. According to the National Association of REALTORS®, 5.31 million homes sold in August 2015 on a seasonally-adjusted, annualized basis, which marks the sixth straight month annualized sales topped 5 million. Housing has been boosted by rising rents in many U.S. cities, a favorable lending environment nationwide, and sub-4 percent mortgage rates. Current mortgage rates now average 3.86%, and are approaching 4-month bests. Meanwhile, there’s an abundance of available low- and no-downpayment mortgage programs, which has widened the pool of potential homebuyers; and, lenders are loosing loan guidelines in order to approve more borrowers. The result is that homes are selling more quickly. More consumers are qualified to buy, and there’s a rush to lock today’s low rates. According to the National Association of REALTORS®, Median Days on Market for U.S. homes hit 47 days in August, which means that half of all homes for sale sold in fewer than 47 days; and half sold in more. Today’s mortgage market is favorable and it’s a terrific time to buy a home — if you can find one before it sells. Each month, the National Association of REALTORS® publishes its Existing Home Sales report, a tally of sold homes which have been previously-occupied, or are otherwise not considered to be “new construction” The trade group’s August 2015 report shows 5.31 million homes sold on a seasonally-adjusted annualized basis, a 6% jump from one year ago and the eleventh straight month of year-over-year increases. Also, there are now just 2.29 million homes for sale nationwide, a figure which puts into numbers what today’s active buyers have already known for months — the market for “right-priced” homes is highly competitive. In August, Median Days on Market for an MLS-listed home was 47 days. 40% of homes were sold within a month. However, the shocking statistic for many of today’s home buyers is that, of all the homes sold, many changed hands before getting listed at all, a sale-type known within real estate circles as “pocket listings”. There are two main reasons why today’s homes may be selling more quickly. One is seasonal. More homes tend to be sold between March and September as compared to other months, and, after a particular frigid winter, pent-up demand have spilled over into summer and the beginning of fall. Another reason why homes may be selling more quickly is because today’s mortgage rates remain below 4% even as rents are rising for consumers nationwide. Over the last year, median rent is up 3.8 percent but the cost of financing a home has dropped. 30-year mortgage rates are down 37.5 basis points (0.375%) from one year ago, and 15-year mortgage rates are down 25 basis points (0.25%). For homebuyers using a 30-year fixed, if you could afford a home for $300,000 twelve months ago, you can purchase a home for $313,000 today with no change in your monthly payment. The August Existing Home Sales report showed homes selling quickly. Homes typically sold in 47 days last month, which is an 11% hastening over the year prior. Although Median Days On Market is an imperfect housing market metric, it can highlight the relative ease with which a seller can sell a home; plus, the relative difficulty a buyer may face in purchasing one. Three main factors affect Median Days On Market: the economy, median rent prices, and national sentiment toward housing. When the economy is performing well, for example, consumers may be more likely to take risks. One such risk is the purchase of a new home, whether as a primary resident, vacation home, or investment. More risk-taking leads Days on Market lower. Less risk-taking leads it higher. Rising rents can also cause Days on Market to drop. When U.S. rents are rising, it puts a strain on the budget of the nation’s renters. It also affects the answer to the question “Should I buy or should I rent?” Median rent is up 3.8 percent nationwide but, in certain markets such as San Francisco and Seattle, rents are rising more quickly. Some U.S. households have had enough. Instead of signing new leases, instead, they’re opting to lock long-term savings in with a mortgage. And, because many are buying “starter homes”, they’re finding the 5-year ARM to be an excellent budgetary and lifestyle fit. However, there’s a third, less obvious reason why Days on Market changes, and it’s linked to home seller sentiment. Sometimes, regardless of the market’s strength, home sellers just feel “less confident” in the market. Right now is one of those times in Tampa Bay. According to a Fannie Mae consumer attitudes survey, 47% of consumers now think it’s “a good time to sell” a home. This is up two percentage points from the month prior, and remains near the all-time highest reading, set earlier this summer. When sellers think, “it’s a good time to sell”, it’s typically because they believe housing is nearing a peak, or about to fall from one. Either way, it’s good to be a buyer. When sellers are concerned about their future ability to get top-dollar, it can result in homes being listed for cheaper prices; and being sold at “the first reasonable offer”. Strangely, though, seller confidence may be askew because August’s Existing Home Sales report suggests that the market is performing quite well. 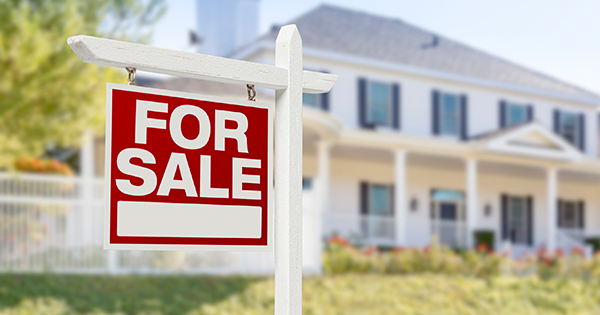 According to the report, there is just a 5.2-month housing supply nationwide and a U.S. home supply of less than six months is believed to put a seller in prime negotiation position over its buyers. So, although the data shows today’s housing market as one of its strongest in a decade, and that home supplies are scarce, sellers are behaving like the market is in a downturn. Buyers, therefore, may find value, despite that homes are selling quickly. With mortgage rates back below 4%, sales of homes are soaring amid fierce competition. The best deals you find in housing may be the ones you get today.